Our Chief Revenue Officer, David Lee, discuss how wealth management technology has developed and is developing, a digitized means of meeting end-customer expectations. Hive Up operates in both the enterprise and direct-to-consumer segments. With respect to the end consumer, it focuses on highlighting financial concepts and engaging the everyday person via mediums such as articles, infographics, workshops, and webinars. For enterprise businesses, the company builds management platforms and client-facing applications for financial advisors. Hive Up also writes curriculum and conducts training for financial institutions, injecting life and vigor into otherwise prosaic financial content, while also using technology for enhanced hands-on engagement. Ms. Tian started Hive Up in 2016 with a mission of wanting to bring wealth management to the masses. Having cut her teeth in the wealth management sector with Goldman Sachs and an established family office, she was convinced that she could bring the same tools and access that had only previously been available in the high net worth segment to anybody. Ms. Tian believes that the two keys to a successful financial journey are financial literacy and practical handles. With the experience of successfully building two prior startups, her mandate for Hive Up is to demystify the seemingly complicated world of finance by breaking it down into engaging and palatable content. 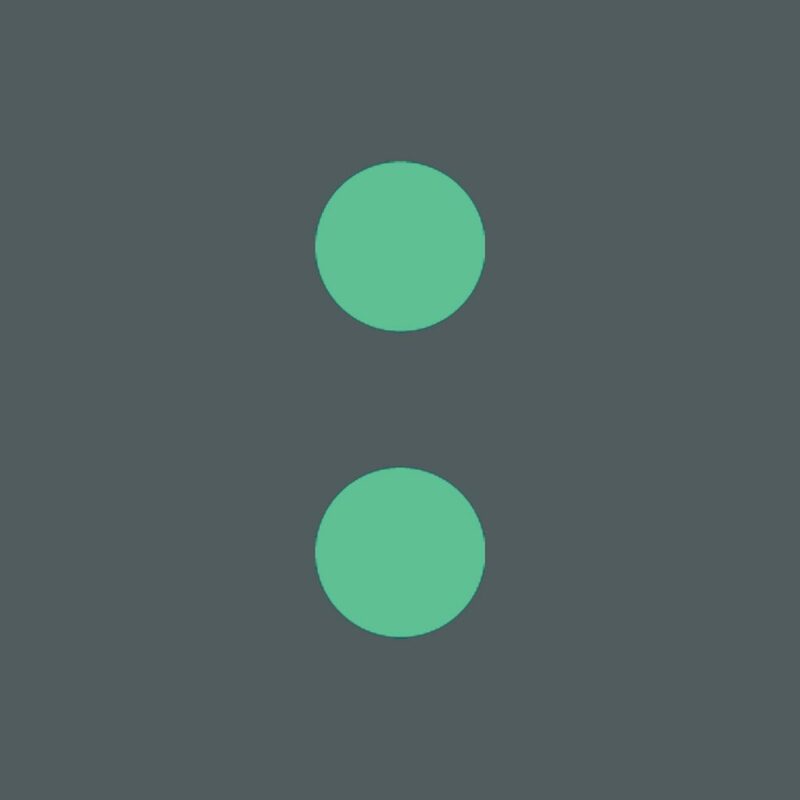 The ethos on how Hive Up creates its content is based on the pillars of design thinking, psychology, and technology, which incorporates AI and machine learning to intelligently curate content and make financial learning more engaging, tailored and personalized. The acquisition of Hive Up – following Privé Technologies’ recent selection by Deloitte as one of the top 20 fastest growing technology firms in Asia – further cements Privé’s position as a leader and one of the most recognized and awarded FinTech companies in the industry. Digitization in the field of personal finance is becoming more salient. We need to explore creative and cutting-edge ways to help the financial literacy challenge for the aspiring investor, as well as develop new value proposition solutions for wealth managers in today’s digital age. Privé Technologies is also the firm behind the award-winning Privé Managers platform for global wealth and asset managers. Prior awards for Privé Technologies include being selected as the 2018 FinTech Changemaker of the Year sponsored by Asian Private Banker, 2018 Most Innovative FinTech Solution sponsored by Wealth Briefing Asia, as well as a finalist in the Hong Kong-based 2018 DBS Accelerator and Supercharger Accelerator programs. Privé Technologies was also voted as the number one robo-advisor in Asia amongst 16 robo-advisories in a recent independent study by Kaplan. Privé Technologies is a modular solution for the wealth and asset management industry and comprises more than 11 state-of-the-art modules powered by its bionic advisory engine, which include wealth planning, risk profiling, investment exploration, algorithmic optimization, and personal reporting. 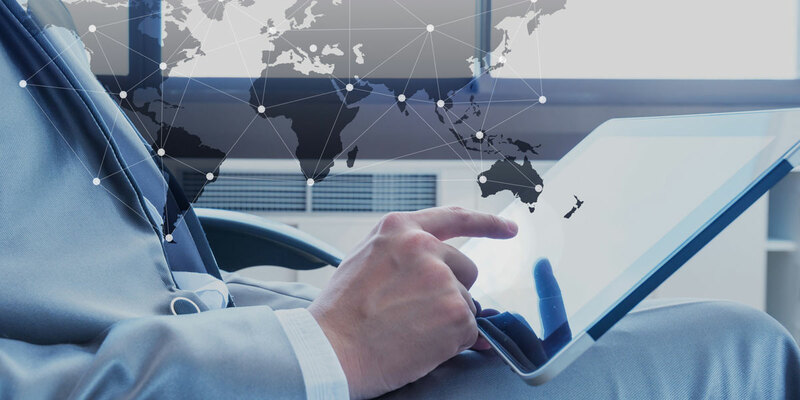 Privé Technologies serves a range of wealth management clients across Asia and Europe, including external asset managers, multi-family offices and banks by offering a wide range of connectivity options to custodial and distribution platforms. Hive Up is an online platform created to empower each individual in achieving their own version of financial freedom in a fun and un-intimidating approach. It produces workshops and various forms of content to make financial literacy easy, along with digital tools to help plan and manage personal finances in both the enterprise and direct-to-consumer space. Financial literacy has many definitions. One of our favourite ones is knowing how money works, and how you can put money to work for you. Others define it as how well one can understand budgeting, and apply financial prudence to life decisions. 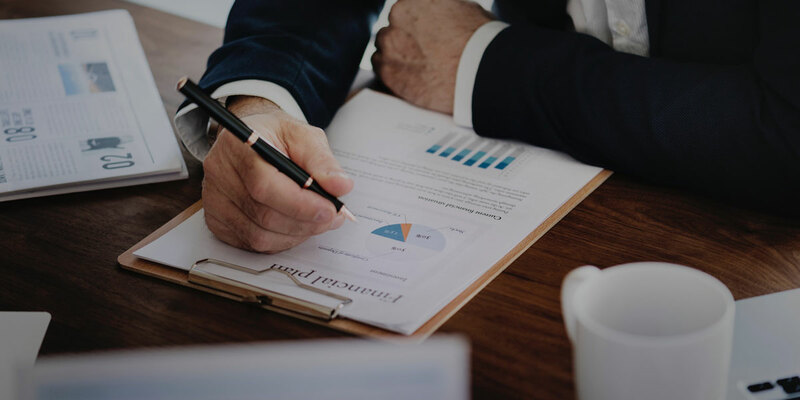 In general, financial literacy refers to how well one can manage their financial resources effectively throughout their life, and how well they are able to plan for their financial goals. Why is important for us to be financially literate? Research studies across countries on financial literacy have shown that most individuals (including entrepreneurs) don’t understand the concept of compound interest and some consumers don’t actively seek out financial information before making financial decisions. Most financial consumers lack the ability to choose and manage a credit card efficiently, and lack of financial literacy education is responsible for lack of money management skills and financial planning for business and retirement. 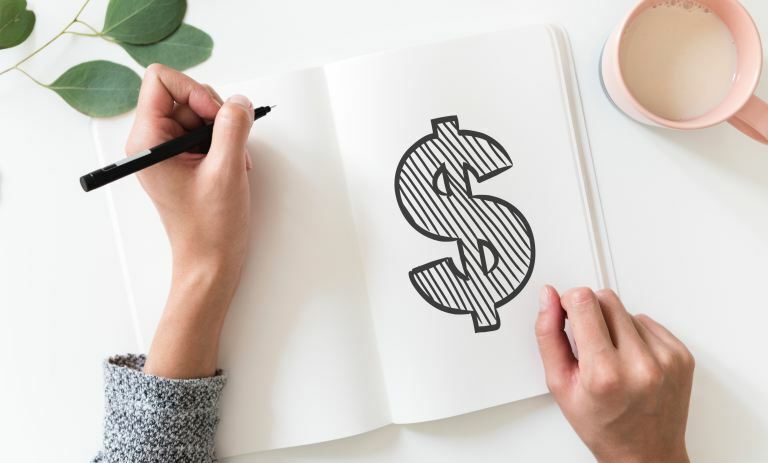 Finances are an integral part of our life, and many of the decisions we make on a daily, monthly and yearly basis either affect our finances directly, or revolve around the subject of finances. The way we understand and approach finances can have a huge impact on the decisions we make in many areas small and large, from food and lifestyle choices, to career and family matters. The consequences of good or bad decisions compound by the day. When the dimension of time is factored in, the good gets better and the bad gets worse. Good investment plans can gather handsome compounding interest, while uncurbed bad spending habits might do the exact opposite with debt and bills. Being financially literate also helps us in preparing for the future like family planning and retirement, though they might not feel as important at present. There might also be times when we are caught unaware by circumstance, for example not being covered by insurance for hefty hospital bills. Decisions like these have to be made way beforehand, so it pays (literally) to be well prepared. Having discussed how important financial literacy is, let’s play a quick quiz to get a gauge of where you’re at. Are you satisfied with your score? Did you predict your score correctly? Pause and have a moment to reflect. Did you underestimate or overestimate yourself? Why do you think that was so? If you feel your financial literacy needs improvement, here’s an infographic we made with some tips to get you started! In our next article, we will show your results compare to the rest who have taken this quiz. We’ll also go deeper into the main areas you should be mindful of to improve your financial literacy. This content was brought to you by our partners, Hive Up. Do remember to sign up for their mailing list if you haven’t already, so you won’t miss out on new content! After our successful fintech accelerator participation in Bahrain Cloud C5, our Middle East presence continues to grow. 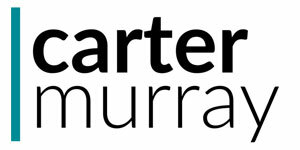 Here, CarterMurray, discuss how our robo-advisory solutions can bring professional wealth management to a wider audience than ever in the Middle East region. Investors need to be informed not just about the assets they are investing in, but also how much fees are involved in the process. While engaging a professional financial advisor to manage your investment and customise an investment portfolio that suits your needs sounds like an excellent plan, it does not come free. Therefore, it is pertinent to understand how much you need to pay when looking to engage the services of a financial advisor or investment management firm, as such fees will have a direct impact on your return. Every cent counts towards performance in the long run. Many financial advisors and wealth management firms charge their clients based on a fee structure, and the most commonly used fee structure in the industry is charging a percentage of the total assets managed. The average fee paid to financial advisors and wealth management firms is usually between 1-2% of the total investment sum of the client’s account annually. It is worth noting that the advisory fee percentage is often scaled, and often decreases as the amount of assets under management increases. For example, a financial advisor may charge a client 1.5% annually to manage an investment account of $100,000 or less, but charge less than 1% for an account of more than $1 million. In short, you have more negotiating power when you have a larger portfolio size. Additionally, you will also incur a transaction fee each time you buy or sell a mutual fund or stock. Such fees range from product to product, with mutual funds generally gravitating towards higher transaction fees, compared to exchange-traded funds (ETF) and stocks. Trading fees vary depending on the volume transacted and which market. In Singapore, commissions for purchasing local equities and ETFs can be as low as 0.12% and 0.08% respectively. As such, ETFs and stocks are more attractive to investors who wish to keep their transaction costs low, as these products can be transacted for relatively low fees. 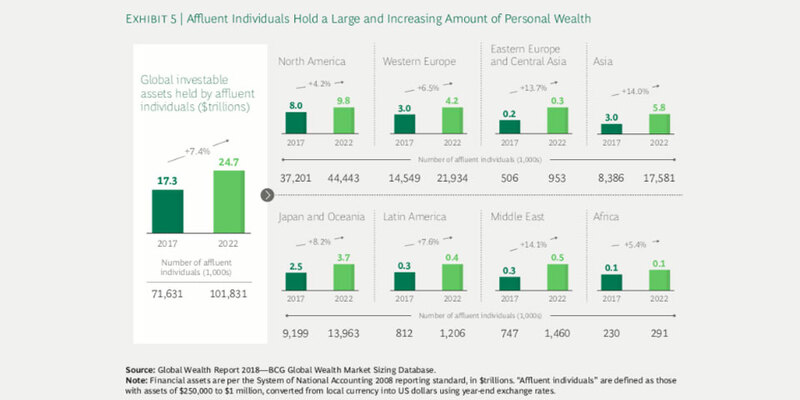 In the latest annual wealth management report from Boston Consulting Group “BCG”, the astounding growth of personal wealth is reported to continue globally in 2017. With this backdrop, we examine the challenges and impacts that are arising for wealth managers and the technology the wealth management institutions in the Asia region will require to meet the evolving customer demand profile. 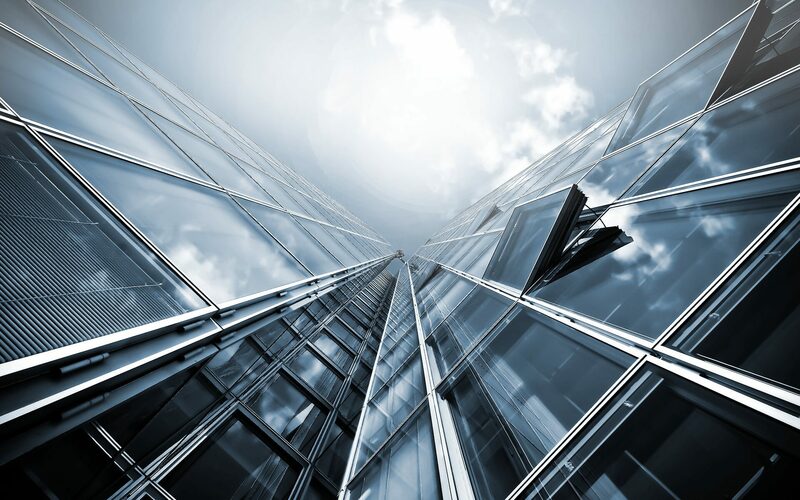 The trends of rising investor wealth as well as rising numbers of wealthy investors, are clearly positive drivers for the wealth management industry. Whilst residents of North America held nearly 43% of global personal wealth, followed by residents of Western Europe with 22%, Asia continued the trend of clocking the strongest growth, with a 19% year on year rise in the region’s wealth from 2016 to 2017 (shown in Exhibit 1). The growth of UHNW and HNW individuals in Asia is expected to be double by 2022 (shown in Exhibit 5). Behind the data lie some significant challenges for the wealth management industry in Asia. Despite the target customer base growing in size, the customer is also increasingly disengaged with the traditional wealth management service model. 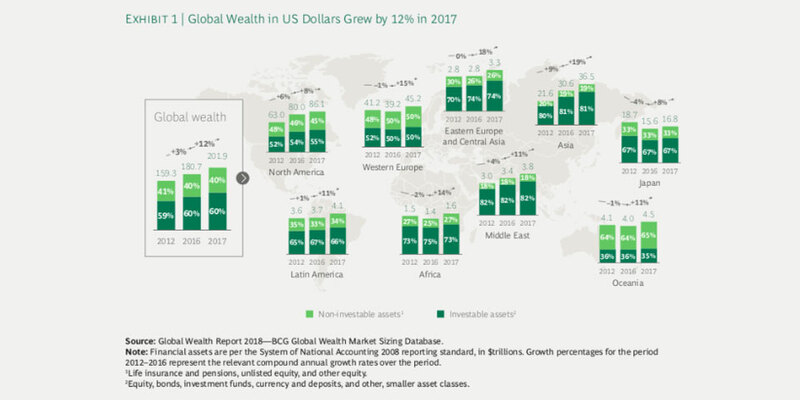 The effects of digital disruption are a major contributor to the revenue and profit challenges faced by wealth manager (BCG, 2018). Traditional approaches are increasingly ineffective, as clients lean towards receiving a customized experience, similar to the other digital touchpoints from retail to travel, that they use daily. Wealth management is a client-service business. When a client needs and/or is expecting change, wealth managers have to serve them. What differentiates wealth managers today is the capability to deliver a personalized service to clients. Some are leveraging data availability and analytics to build personalized experiences for clients based on their needs, preferences, context and behaviours. But many are not yet. BCG research suggests that more than 70% of wealth management clients see highly personalized service as a key factor in deciding their provider. Traditional approaches are also increasingly uneconomic. So not only does the customer not want them, but they are expensive to deliver. Technology serves a key role in transforming business to re-focus on delivering superior customer experiences in an efficient way. The digitization process requires work to be done in an agile fashion given the amount of changes required. Orchestrating cross-functional teams is key to drive technology change alongside operating model changes. This move creates an opportunity to building minimum viable products, testing and learning and failing fast. The initiative to implementing the change should be seen as a top priority by the entire firm. Members of executive suite must instill positively to every member in the organization in order to bring about the needed behavioural changes. Client and product data creates challenges owing to the data’s heterogeneity and disparate sources. This data tends to be highly fragmented, in which 35% of the data is meaningful to wealth managers. The challenge here is to pull key information and maximise its use across engagement with RMs, client service and back-office functions. Undeniably, wealth managers handle massive and standardized data in their day-to-day. It is crucial that they have sufficient understanding to apply latest analytics techniques to create value for their work. Such that various data types are linked in a way to allow step-change insight, both at scale and at the level of individual clients. 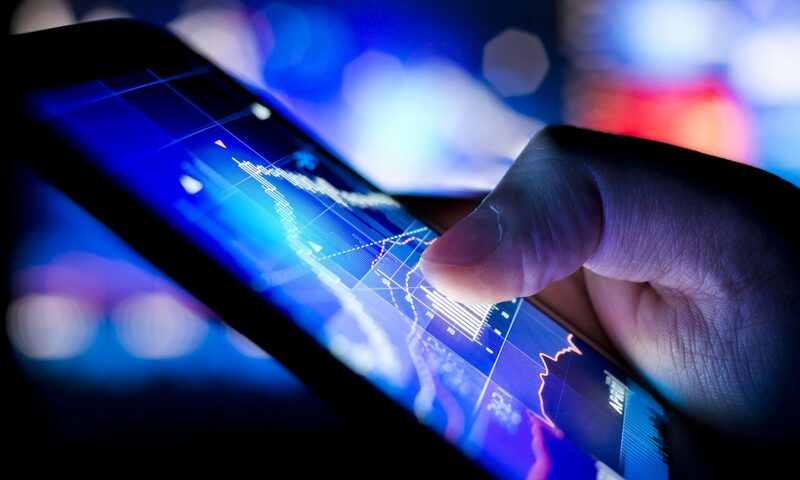 At Privé we are strong believers that the only way wealth managers can survive and thrive in the new environment is to embrace digitisation and adopt quickly. Here are four technology solutions that BCG identify which resonate strongly with our ethos. The initial contact point in wealth management begins with the RM. Advanced analytics and data enables identification of early signs of potential attrition and enables leads scoring based on complementary data capture. This keeps the relationship manager (RM) focused on customers who are more valuable, rather than churning potential leads. Additionally, maximising RM effectiveness with new clients by using lead score and smart rules driven by advanced analytics, enables the RM to leverage a set of proven prospects. Interaction with existing clients is key to engaging their interests and strengthen relationships between RMs. Analytics helps to raise timely and personalized suggestions to clients and encouraging relevant discussion between client and RM that could deepen the relationship. Develop a dynamic pricing using data such as client’s individual situation and long-term value omitting unnecessary discounting by RMs. Resulting in a personalized service delivery with greater transparency. Technology acts as an effective tool in several ways operationally. It improves accuracy by eliminating manual tasks, reduce human-resources costs, streamline requests and inquiries, improved credit risk management and allows data reusability. It’s clear that technology is going to play arguably the biggest factor to keep wealth management firms not only efficient, but also relevant to customers in the short, medium and long term. We echo BCG’s conclusion that unlocking the value of data will create unbelievable business opportunities, however, success also depends on having the ability to adapt to the change and the leadership to drive effective integration of key capabilities and mandate complexity efficiently. Speak to us about how we are helping financial institutions in Europe and Asia to drive digital transformation and seize new business opportunities. Let us know if we can do more for you. Leave your details and we‘ll get back to you.